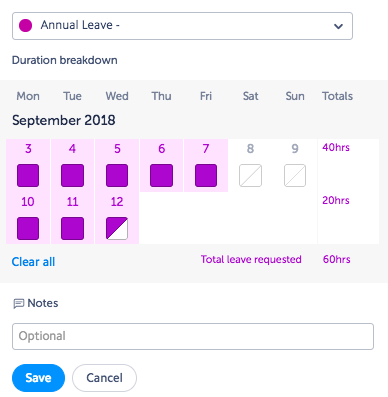 You can now add both Requestable leave and Non-Requestable in the Scheduler. 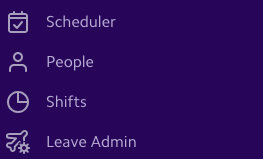 Both types of leave can now be added via the Scheduler tab by clicking on the '+' icon. 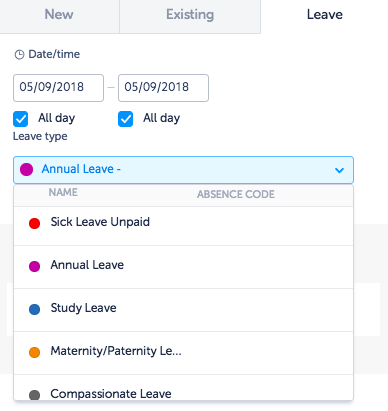 Go along to 'Leave' and choose the leave type needed from the options your company has set. You can also at this time change the date range as well for the period of leave. 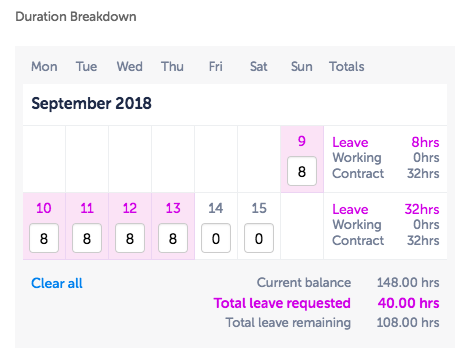 Once you have chosen the date range and leave type, depending on the length you will be able to choose the days and hours of the leave request. Rotageek will base this on their contracted hours but you are able to click the days to change any day to a day off or a half day. Once this is completed, you can save and it will automatically go on the scheduler and be approved. This can be edited at anytime by clicking on the entry on the scheduler. To add Requestable leave this way, go to Leave Admin. On the first page you should see the green 'Add Leave' button in the top right-hand corner. Click this button and select 'Single' from the menu to add a single leave entry for your member of staff. This will bring up the request entry window. 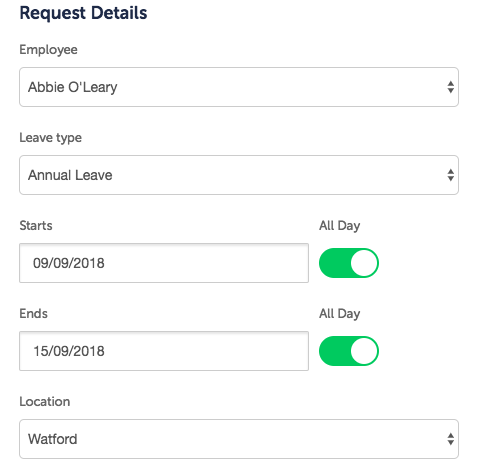 Here, enter the details relevant to the employee's request; their name, the type of leave being taken, the start and end date and the Location this leave is being taken at. Now the details have been added, you will be shown below the duration breakdown which is usually based on the employees contract. You are able to amend this by changing the hours for each day if needed. It also gives the employees current balance and leave remaining after the request. Once all the details are correct you need to select the status of the request. 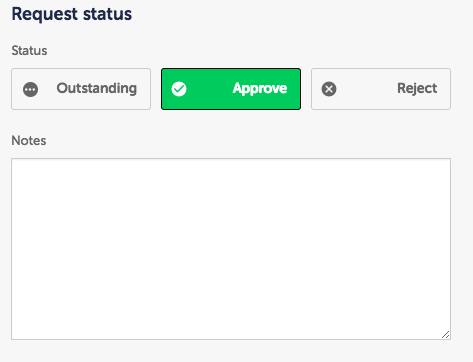 Generally if you are adding this on behalf of an employee it is already approved, if so make sure to select the 'Approve' box under 'Request Status'. Add a comment if necessary to the 'Notes' section and click 'Save' when the request is complete. This will auto-populate the leave on the relevant days in the Scheduler.